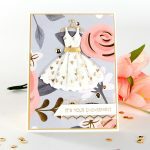 AJ here today to share with you a fun birthday invite created using our new Sapphire™ dies. I created a fun kids birthday invite with coordinating goodie bags. 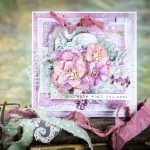 Yvonne here with some SpellbindersÂ® Sapphire dies inspiration. 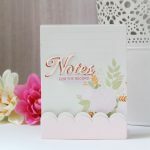 Sapphire set Fleurs and Flourishes and Card Creator A2 Matting Basics B.